Rafael Santiago came on in this April 1990 game with his team already down by four. By the time he was done an inning later, that deficit stood at seven. Santiago picked up three outs, but gave up four hits in this game against Spartanburg. It was a game Santiago's Charleston Rainbows would go on to lose by a score of 12-2. Santiago was starting his second season as a pro that April. He ended up getting into just one more campaign. He didn't make it higher than single-A. 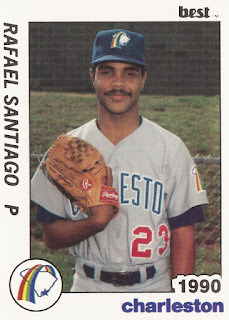 Santiago's career began in 1990, taken by the Padres in the 39th round of the draft out of his native Puerto Rico. Santiago played his first season in the rookie Arizona League. In 12 starts, he went 3-5, with a 3.34 ERA. He also struck out 59. Santiago moved to single-A Charleston for 1990. There, he got into 25 games, starting 23. He came in with a respectible 3.68 ERA, but his record didn't match. His record on the year was 8-15. He struck out 94. He's not recorded as playing in 1991. 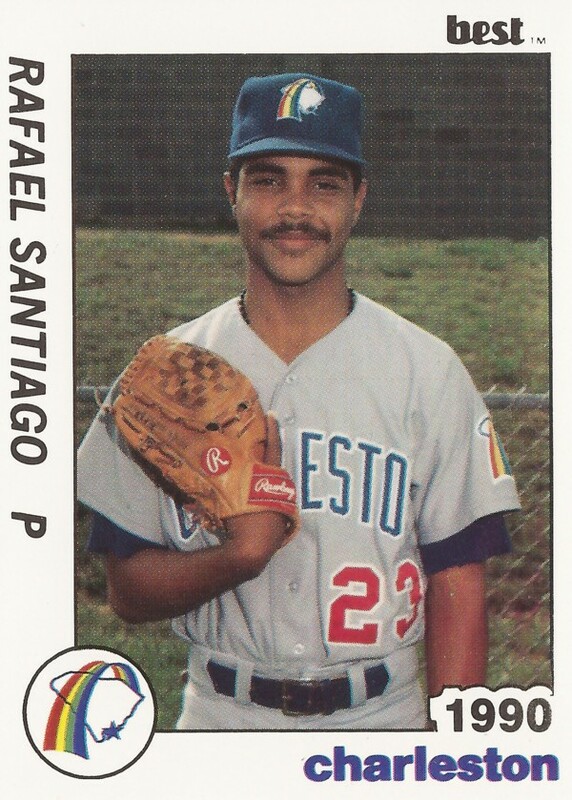 Santiago's final time as a pro came in 1992. Back in the Arizona League, Santiago got into three games in relief. He gave up four earned in four innings of work, ending his career.